BROWNSVILLE — The fate of a man who gunned down a Border Patrol agent could be in the hands of a jury as early as today. 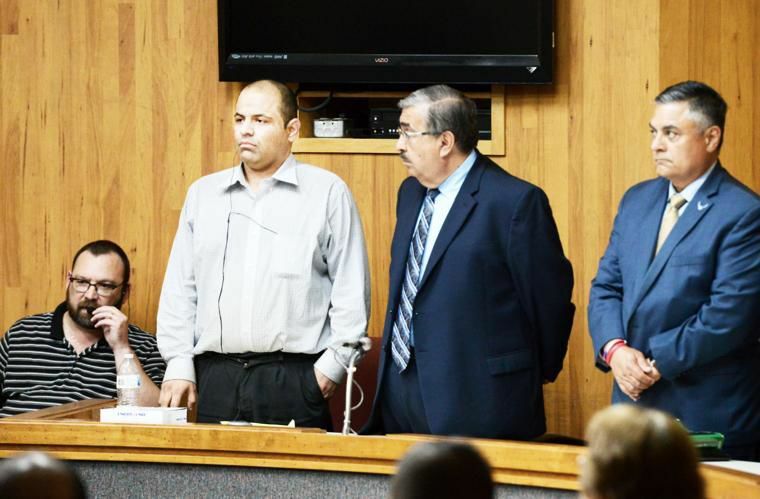 Jurors last week convicted Gustavo Tijerina-Sandoval, 34, of capital murder in the 2014 killing of Agent Javier Vega Jr., of La Feria. He also was convicted of attempted capital murder in the shooting of Vega’s father. Now, the jury must decide if Tijerina gets the death penalty or life in prison. The penalty phase of the trial started Thursday. Prosecutors rested Friday after calling a dozen witnesses to the stand, including Vega’s family members who witnessed the shooting. The sentencing phase continues today when the defense is expected to call an expert witness to the stand. It is being held in the courtroom of 197th state District Judge Migdalia Lopez in Brownsville. The jury also saw a videotaped confession in which Tijerina said he did it, Assistant District Attorney Charles “Chuck” Mattingly said. “I’m doomed. I must pay,” Mattingly, quoting Tijerina’s confession, said during closing arguments.